As Florida’s 19th lieutenant governor, Carlos Lopez-Cantera travels throughout the Sunshine State to meet and speak with some of its more than 20 million residents. But he always sets aside time for his hometown. Mr. Lopez-Cantera entered politics in 1996 as part of Bob Dole’s presidential campaign. A year later, he worked as a facilitator for the Florida Senate’s Criminal Justice Committee. Rebounding from a failed bid for the Florida House in 2002, he won a seat in 2004 and completed four consecutive two-year terms, chairing committees on business relations and government affairs, was majority whip from 2008 to 2010 and majority leader in his final term. In 2012, he was elected Miami-Dade Property Appraiser, emphasizing service, accessibility and outreach. He became Florida’s first Hispanic lieutenant governor when Rick Scott appointed him to the vacant seat in January 2014. A year later, he announced his candidacy to replace friend and colleague Marco Rubio in the US Senate but withdrew when Mr. Rubio chose to seek reelection. 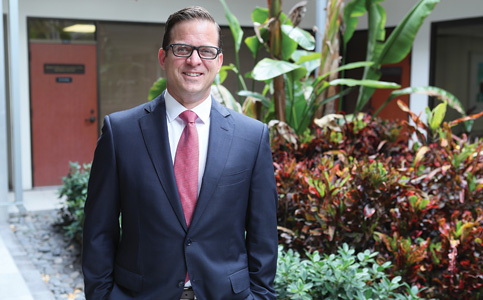 Mr. Lopez-Cantera, who lives in Miami with his wife, Renee, and their two daughters, sat down with reporter Jesse Scheckner at Miami Today’s office in Coconut Grove. The interview, recorded by Jahmoukie Dayle, can be found Friday at http://bit.ly/2uNHy0Q.